“Gimme four reserved tickets,” he said, laying a $20 bill down on the counter. As he and his family walked into the gym, his wife complained that the reserved tickets might cut into the food budget. “Would you rather eat or see Ric Flair?” the man responded. 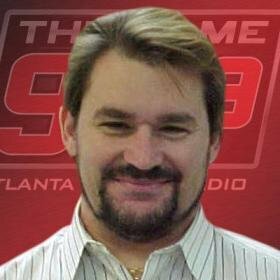 Ric Flair recently had Tony Schiavone as his guest on the "WOOOO! Nation" podcast (link to the show found here) and it was one of Ric's best shows. I love hearing Tony talk about his days as a fan of Mid-Atlantic Wrestling, as David and I grew up following wrestling at about the the same time. Tony told a funny story about a show he went to in Harrisonburg, VA in 1977. I went to the Mark Eastridge clippings archives and found the newspaper ad from what I believe had to be the show he was talking about. There was a nice article about that show that was published in the local paper, too it featured an interview with the local promoter for Crockett Promotions, Pete Apostalou. I hadn't thought about Pete in awhile, so I thought I'd publish the article here. There are some funny moments here, too, and a great look at a wonderful time when people really believed. Harrisonburg had a great line-up: Johnny Weaver, Wahoo McDaniel, Greg Valentine, Brute Bernard, George "Two Ton" Harris, Ric Flair - - - great memories! Thanks to Peggy Lathan for transcribing this article from an old newspaper clipping provided by Mark Eastridge. Four years ago, a Roanoke policeman was moonlighting as a security guard at a professional wrestling exhibition at the Roanoke Civil Center. Two days later, the woman petitioned the Roanoke mayor to have the officer removed from the force. Her reasoning: if that man couldn’t tell that it was real sport in the ring, he had no business being a policeman. That incident reflects the devotion of the pro wrestling fan. What goes on in the ring and what comes over the television screen on Saturday afternoon is as good as gospel. The Roanoke story is also a favorite of Pete Apostolou, the man responsible for the bouts. He is the promoter. Apostolou brought pro wrestling to Harrisonburg Thursday night. Over 2,500 fans paid to see the likes of Two Ton Harris, Ric Flair, Wahoo McDaniel, Brute Bernard and Johnny Weaver. It was the biggest paid crowd ever in Claude Warren Field House. From the start, Apostolou was smiling. “We’re bringing culture to Harrisonburg,” he cracked. “How do you spell culture?” someone asked. “Why, you spell it M-O-N-E-Y,” Apostolou said. Money. That’s what the pro fight game is all about for the wrestlers. Money was the reason that pro wrestling was held at Harrisonburg. “It’s a project to raise money for the athletic department,” Harrisonburg Athletic Director Brownie Cummins said. Cummins was elated with the turnout. The school’s share of the gate receipts, although only a fourth of the entire take, was more than any of the Streak’s home basketball games have ever made – much, much more. “I guess they should make close to the tune of $1,500 or $1,600,” Apostolou said. For five years now, Apostolou has been contacting people in the Harrisonburg area, especially in the local high schools, about possible sites for bouts. Cummins is among that group. Apostolou knows the crowd is his lifeblood. He acts accordingly. As far as the fans are concerned, nothing is controlled. The bouts are as real as any sporting event. Questioning the authenticity of the fight game can be hazardous. When the fan was reminded that cartoons and Star Trek are also on television, he almost became livid. Wrestling has both. Apostolou knows that the Mid-Atlantic wrestling show telecast throughout Virginia, North Carolina and South Carolina is his No. 1 promoter. He was willing to try that trick halfway through the card at Harrisonburg Thursday to prove his point. He didn’t have to. People were willing to pay the full admission price just to see the final bout. Several did. “Am I in time to see Ric Flair?” asked one fan who came in with his family after the first bout had started. “Are there any $5 seats left?” he asked. “I guess I’ll have to settle for the bleachers. Give me four tickets,” he said. Earlier, about an hour before the first bout was scheduled to begin, another family had come in. The man also wanted the higher priced tickets. For that man, his wife and just about everyone else in the gym, there wasn’t really any question of priorities. The smiles on their faces as they took their seats at ringside registered their satisfaction.